Commercial Pool Builders, Crystal Pools possesses unique capabilities in a wide variety of government and commercial fields. To maintain our position as industry leader for so long has also required us to always stay focused on delivering on budget, on time every time. Feasibility studies include the analysis of Topographic, Geotechnical and services constraints, user requirements, town planning compliance, operation and maintenance cost analysis. Engineering services we provide include; Architectural, Civil, Structural, Hydraulic and Electrical. These are services from our own consultants. Project Management – you may wish to prepare the site yourself, or you can opt for a full turnkey solution where we manage all the trades, materials and equipment from start to finish. Maintenance programs – why call on a large number of suppliers tradespeople? Ask us how our reporting and scheduled maintenance service can deliver cost efficiency to your investment. Few operators can match our methodology and expertise in pool refurbishment. Crystal Pools built their first commercial pool for Parramatta Council in 1959 and now 50 years on, Crystal Pools has again been commissioned to update and refurbish this very special site. Our assessment, recommendations and works will result in an asset that has been refurbished to stand the test of time. We have a proven track record providing ceiling estimates which we guarantee will not be exceeded in our tender submission. 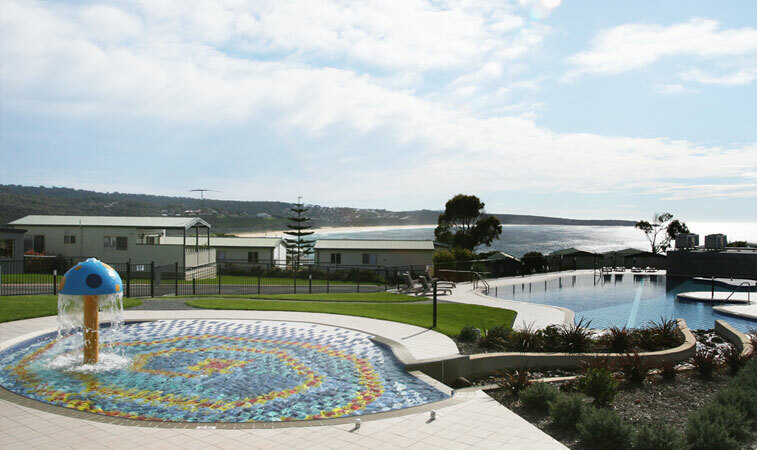 Our swimming pool constructions include wet decks, advanced reticulation systems, High Rate Sand Filters, Ultra Fine Filtration (UFF) as well as the latest safety features. We also design and construct a wide range of water features.